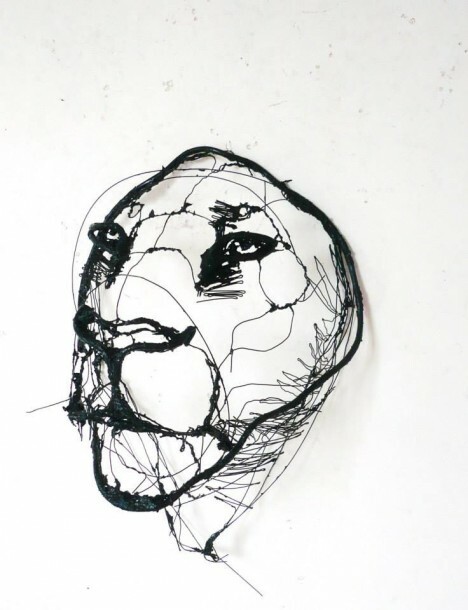 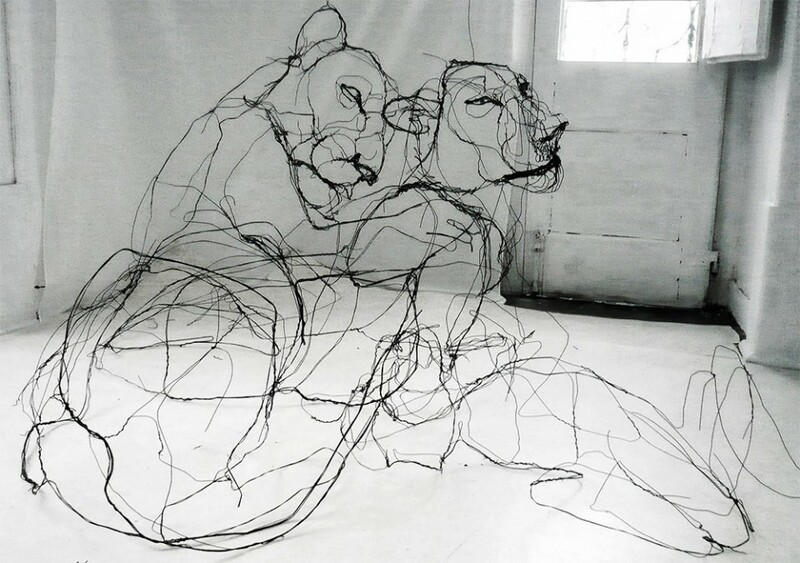 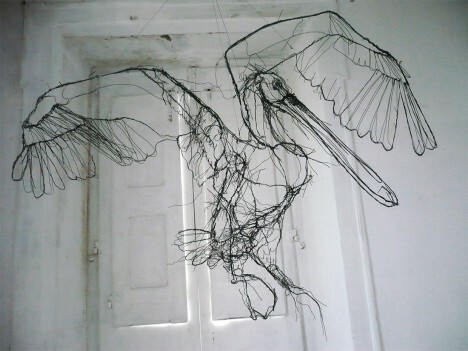 Scribbled sketches seem to leap off the page and hover in mid-air, filling out in three dimensions, in this impressive series of sculptures made from bent wire. 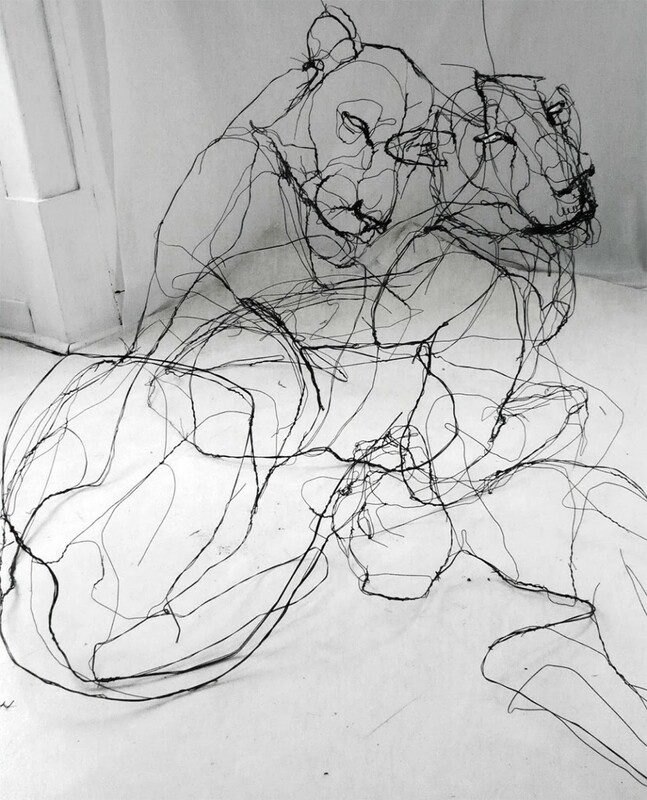 Artist David Oliveira captures the essence of his subjects, whether they’re people or mountain lions, by studying their anatomy and translating their sense of vitality and movement into minimalist life-sized forms. 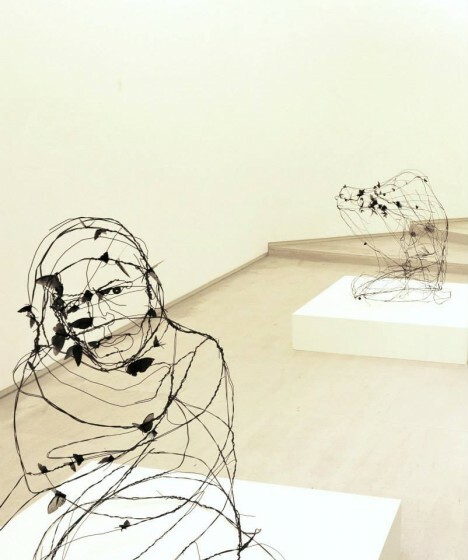 Oliveira sees his works as existing on some other plane, like an abstracted echo of the physical bodies that exist in our reality. 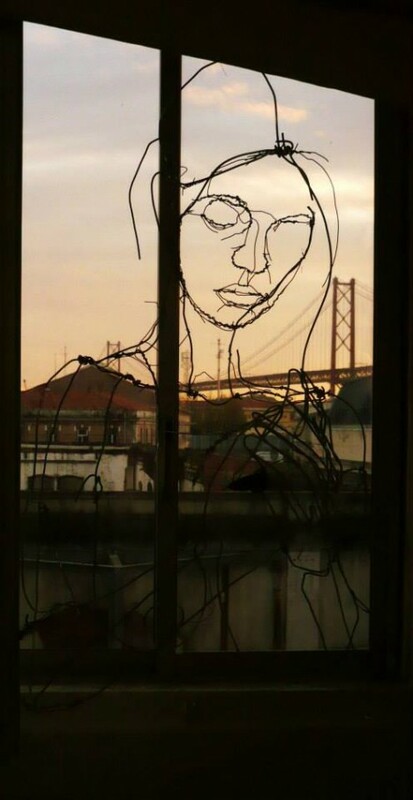 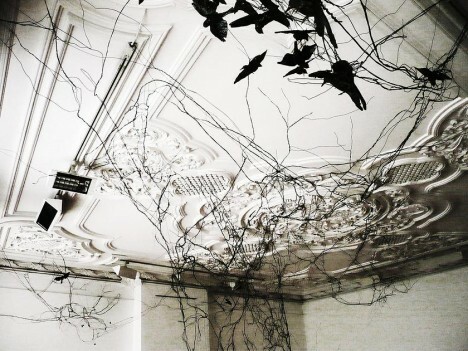 Twisting, looping and curving black wires, he sketches in air, and the resulting sculptures look as if they’ve been peeled off a piece of paper, enlarged and skewed like skeletons that were hidden inside each subject all along. 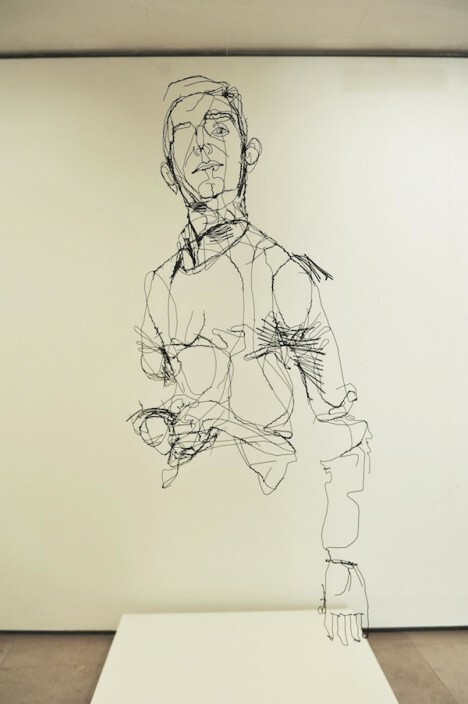 As viewers, we look at these gestural impressions of living creatures and our minds fill in the blanks, suggesting to us what the real-life subjects must have looked like, how they must have moved. 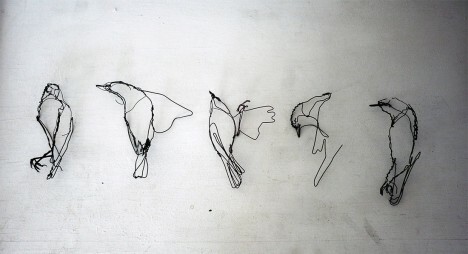 The sculptures are particularly effective when they’re hung from the ceiling in transparent thread, seeming to float.